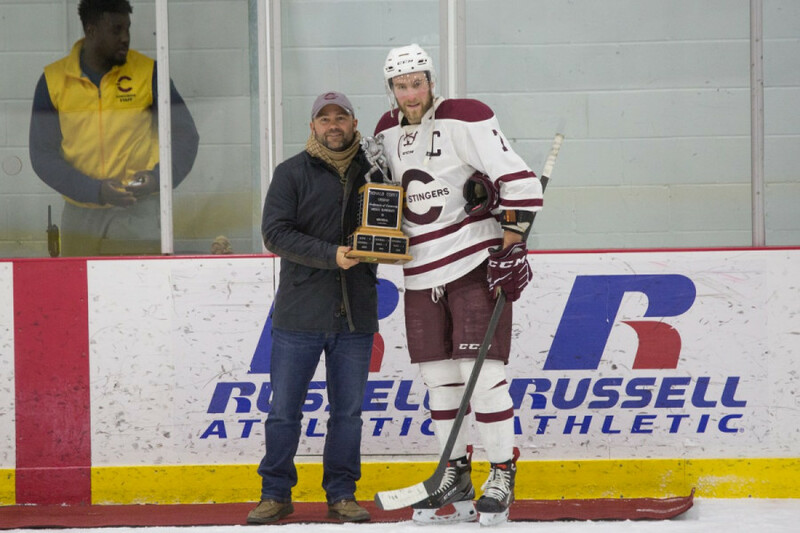 The Stingers beat McGill for the Corey Cup Friday night at Ed Meaghar Arena. Here is a wrap-up of how the game went and what it means for the team going forward. Here’s the full recap of that game. That’s how Stingers’ captain Philippe Hudon was feeling after his team put on an incredible show for a capacity crowd at the Ed Meagher Arena Friday night. 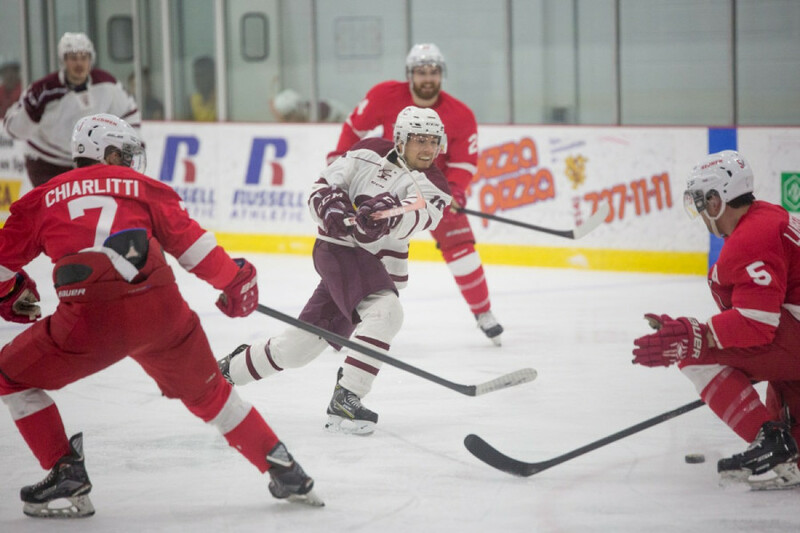 The forward played a major role in his team’s comeback victory against Ontario University Sports’ leading team McGill. Early goals and penalties went hard against Concordia who found themselves down 1-0 early in the game and were on the penalty kill a whopping nine times throughout the game. Even when Stingers forward Anthony Beauregard tied the game minutes later, it wasn’t enough as the next 40 minutes saw two McGill goals, putting the odds on favourite up 3-1 midway through the third. Despite the score, it was a game of heavy battles. The ever present physicality between the two rivals was on par with their three previous meetings this season. The game never lulled as neither team stopped pushing. That push earned the Stingers goals by Charles-Eric Legare to cut their deficit to one, and eventually by captain PHilippe Hudon to tie the game. Overtime solved nothing so the 3-3 tie went to a shootout. Five players in a row were stopped. The game rested on the stick of U Sports’ leading scorer, Anthony Beauregard. Post game, he said there was nothing special going through his head before the shot, no fancy tricks in mind. Just focus and determination on a single thought. Beauregard wouldn’t be a bad choice, here. With a goal, an assist (his 60th point of the season) and the game winner in the shootout, he was masterful as always. But the player that stood out the most against McGill was captain Philippe Hudon. Hudon played what may have been his best game of the season. Since the holiday break ended, he’s been on fire, playing at the top of his game, and earning a spot on his team’s top line. “I don’t know what happened [since the holiday break] but every night he’s on of our best players,” said head coach Marc-André Element, praising his captain’s professionalism and saying he expects him to be playing in the American Hockey League soon. Friday night, Hudon was everywhere. Crushing opponents into the boards, breaking up plays in his own zone, and scoring the game-tying goals in crunchtime. Hudon was dominant on the ice and was a major factor in the win, without question. Philippe Sanche found his way back into the lineup after missing two games due to injury. The feisty winger was played away from his usual linemates of Beauregard and Carozza, finding himself with Antoine Masson and Charles-éric Légaré. With the emergence of young stars like Beauregard, Neill and Carozza, perhaps Sanche has flown under the radar. Despite the fact that he’s missed seven games, the forward currently sits over a point per game with 14 goals and 21 points in just 20 games. Some might have worried that him playing away from his line might affect his game, but he’s shown to be the type of player who can thrive under any circumstance. Offensively, he had the opposing goaltender diving to make saves on his cannon of a shot. Having a threat like that playing further down the lineup is an asset to any team. A Sanche game wouldn’t be complete without his work as an agitator. The Stingers’ resident pest went to work early, drawing penalties and getting under McGill’s skin, pulling them off their game. He made sure there was no love for him on the McGill bench. The officiating. It would be easy to pick on the Stingers’ powerplay that went one for nine with the extra skater. However, that one ended up tying the game. The game was high energy, intense and at times a little chippy. But it was not 18-penalties-level-chippy. The first period felt almost like a “let them play it out” environment. That’s a fine way to call a game, if you feel both teams are equally aggressive. Unfortunately, the second period saw the game devolve into what seemed to be calls for the sake of calls. The incessant borderline calls on both teams didn’t keep the game under control but cut the momentum of an otherwise extremely exciting game. Ed Meagher Arena is not always filled with people. It’s often difficult to make it out to games in the brutal winters of Montreal. Friday night, it was packed to the seams, predominantly cheering on Concordia but McGill also carried a strong contingent to the game. No one failed to mention the effect the crowd had on their game. “It’s fun. It’s really fun. We like it when the rink is packed,” said Beauregard, smiling ear to ear. Hudon admitted that he had never heard the arena be as loud as it was on his tying goal. The cheers were thunderous. Cheers and chants accompanied plays. Saves were met by applause. After a game like that, it is clear just how much of a mental impact a crowd like that has on these players. The answer to this is in two parts. Standings and mentality. In terms of standings, this game guarantees Concordia home ice advantage for the first round of the playoffs as they can no longer finish any lower than fourth in the OUA East division. They play the third place Carleton Ravens in the final match of the regular season Saturday, trailing them by only one point in the standings. If they win in regulation, they will pass Carleton for third place. If they lose, they remain in fourth and if they win in overtime, they will tie with Carleton. If they were to win in regulation and second place Queen’s Gaels were to lose their final game against the Nipissing Lakers, the Stingers would move into a tie for second place in the division. Their potential first round opponents are the fourth place Ottawa Gee-Gees, third place University of Ontario Institute of Technology Ridgebacks, or second place Nipissing. In terms of the team’s morale, this win is an enormous one for the Stingers. Just last week, the team was in the midst of a three game losing streak. 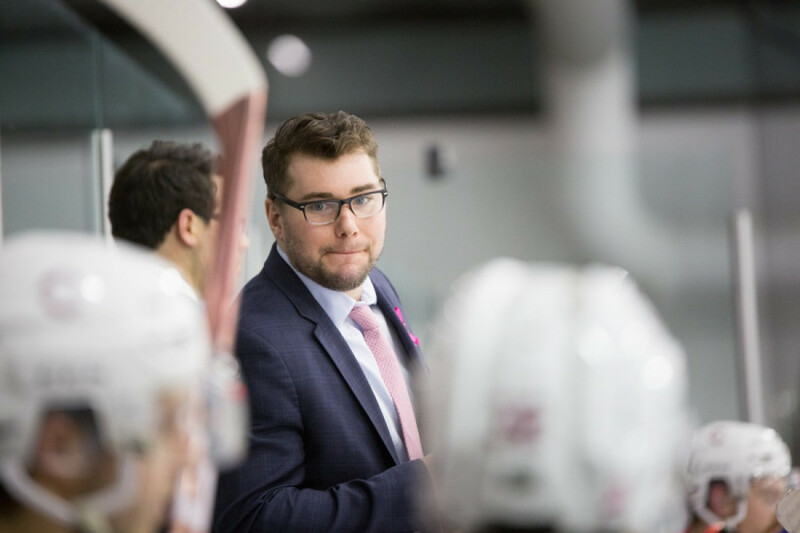 “Since Christmas, we’ve been up and down but now we’ve got two huge wins,” explained Element after the game, touching on how much of a morale booster it is to go into the playoffs having beaten the OUA’s leading team and cross-town rival. A comeback, shootout victory against this kind of team was a must for the Stingers to have their heads on straight heading into the upcoming playoff season.